Nowadays, digitization is a hot topic within many organizations. Companies want to make a transition towards working paperless. However, the term digitization is often misused. What actually happens is that people exchange information in a pdf or Excel structure and thereby the feeling emerges that we are digitally connected. However, such documents are actually just copies of the past. That is why we prefer to refer to them as paper on glass. In order to speak about a true digital connection, we should first change the way we communicate. Data that knowledge workers need is often stored in complex systems (e.g. ERP) of which they have no knowledge and consequently no direct access. 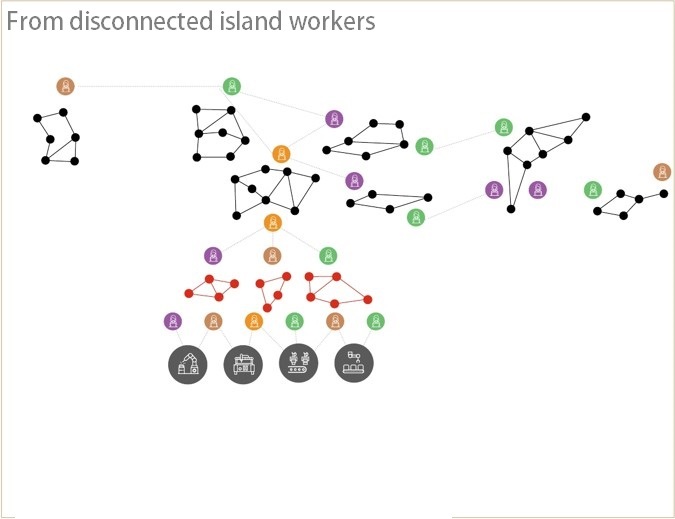 What is happening today is that knowledge workers are all working in their own information islands. They are dependent on each other for obtaining information that is often requested in different systems or business applications. Therefore, departments and employees are dependent on each other, because not everybody has direct access to the data. As a result, people often lose more time processing information instead of working with this information. Consequently, another phenomenon is that data often has to be re-entered to get it from one system to another. That is why Ometa enables organizations to make a shift towards a communication structure where knowledge workers work directly in each other’s systems without needing (technical) knowledge of these systems. In other words, Ometa ensures that data becomes accessible for those who need it. We bring data in realtime towards user-friendly workspaces. So how do we give knowledge workers access to the information they need? On top of the IT landscape of business applications, Ometa forms a layer where knowledge workers can consult and process aggregated data. As a result, it is no longer necessary to make exports and to have unnecessary, delayed communication such as emailing Excel files or re-entering data into multiple systems. 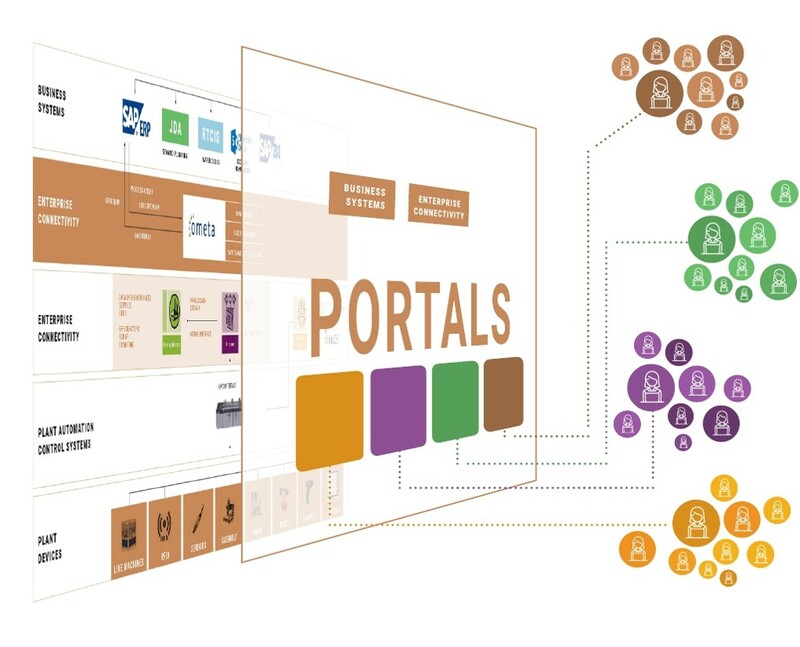 Thanks to the Ometa framework, it is possible to work from within a user-friendly and familiar interface with data coming from different underlying integrated systems. 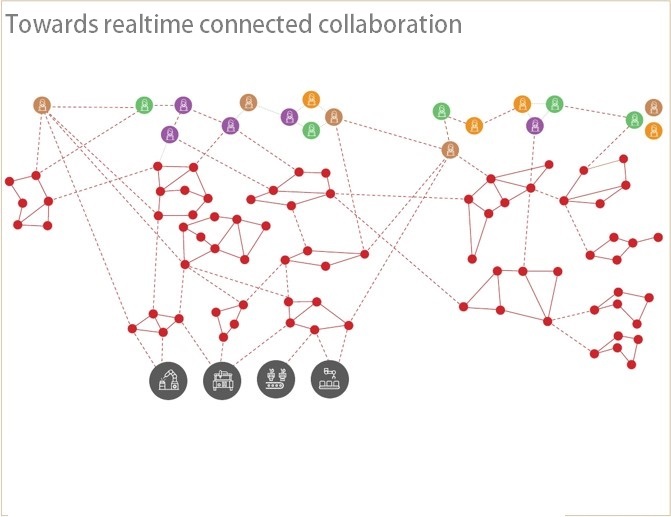 As a result, transmitters and receivers are connected with each other from within their own digital workspace such as MS Office 365 or Google Sites. This integrated way of working drastically reduces the inefficiency in exchanging and processing information . Consequently, you can achieve an enormous gain in terms of speed. The Ometa framework actually pushes the required information towards the various knowledge workers. This results in faster decision-making processes, which has a positive impact on the general communication as well as on customer relations. An additional major advantage is that, thanks to this increased speed, we can also realize more flexibility in certain processes. Because we work realtime in different systems, we can also immediately adjust processes for all of those who are involved. This reduces the threshold to respond flexibly to changing situations. For example: consider product life cycle changes, order changes, stock adjustments or production adjustments that are now immediately visible to everyone because they are updated in realtime in the connected systems. Within this context, a great advantage of the Ometa framework is a concept called two-phase commit. This means that every change of the business application data (e.g. ERP) in your digital workspace will first change in the business application before the workspace will accept the change. The information changes in both systems with only one single user action, while the business application stays in the lead at all times. Another important aspect of this digitally connected way of working is that it is not necessary to change the underlying processes. The Ometa framework is designed in such a way that the back-end processes can be translated to the front-end workspace by means of configuration. This means that the Ometa framework is a a no-coding platform. As a result, your digital connection can be set up in a short time. Moreover, having a configuration wizard at your disposal, means that you can easily manage the tool yourself.